Research has shown that there is a skill gap when entering the workforce. Even though qualified people are being hired. Companies realize that the "soft skills" needed to excel on the job are not at an appropriate level. 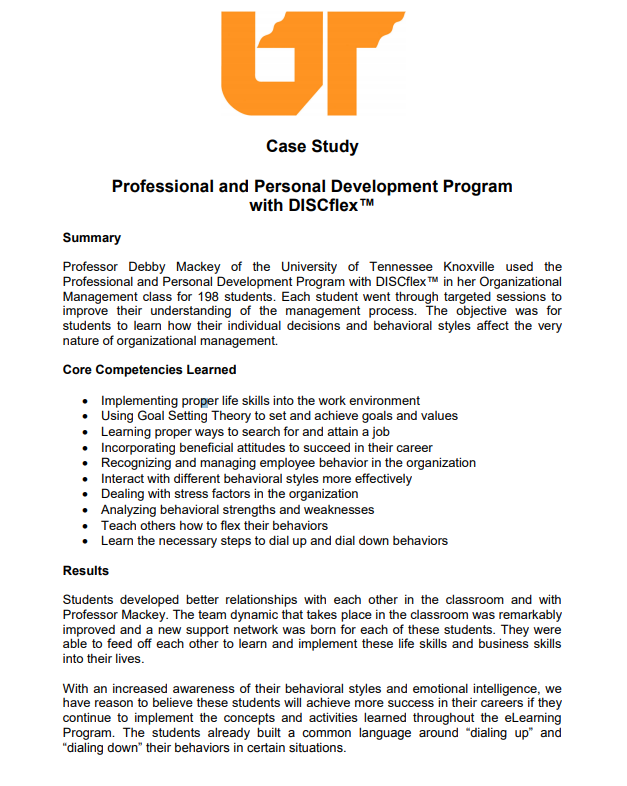 We have found that our Online DISC Assessments are able to help those students. Our programs retail between $20-$60/assessment. $3,000 – Access for up to 200 Students to use ($15/assessment). $5,000 – Access for up to 5,000 students to use ($1/assessment). $10,000 – Access for up to 20,000 students to use ($0.50/assessment). $20,000 – Access for up to 50,000 students to use ($0.40/assessment). *You can pick whatever program(s) that work best for your students and we can mix and match codes up to that number. Offer does not include DISC eLearning access. How to contact us to begin! We can link the admin/professors account so that they will receive an automated email when their student/participant completes the assessment the email also contains a link to download that persons report. We include the school's logo (no charge) to appear in the upper-left hand of the account, this personalizes the program to each school/class. We can set up a Master Account for the school with sub-groups for each department and class. This way you can keep groups separated for tracking purposes. 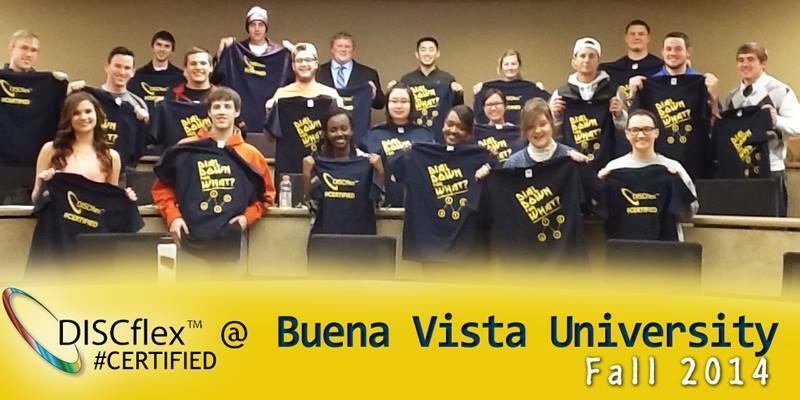 We provide admin/professors with a facilitation email and group codes to send to their students. We also provide two PPT's to assist the admin/professor with implementation. One PPT provides a walk thru of the student's user experience and provides our contact info for technical questions. One PPT provides a report walk thru and activities with facilitator notes so the admin/professor can lead the group from the front of the room. 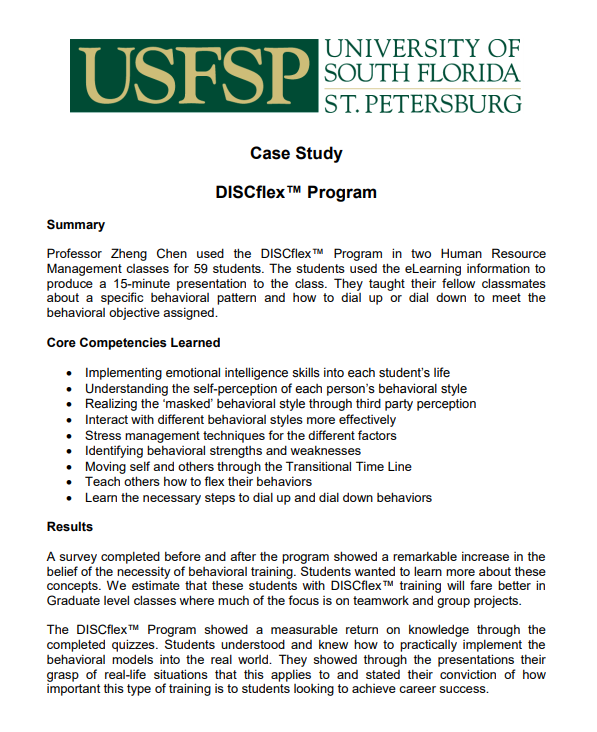 We would love to train you in our DISC assessment - DISCflex. We provide you with the resources to use this tool in the classroom. DISCflex Report Analysis. We go over your results and explain the methodology used in the report. DISCflex Admin Training. We provide you with access to your student's reports and materials to use in the classroom (such as PPT's). Access to our online DISC eLearning course. The course contains 20 hours of video, audio, and script materials. We can setup admin accounts for each group and provide access to the admin/professor to access their student's results. 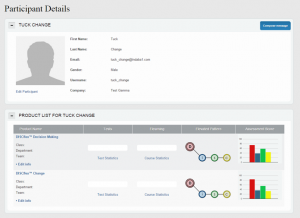 They will be able to download their student's reports as well as export the data to excel. The data is available to the school to use for research purposes. We have options for who pays for the program. The department or school usually pays for the program. We will provide you with login information to share with your students. The bookstore can purchase the programs from us at the bulk offer prices and resell the program to your students. Can drive revenue (purchase program for a $1/progam resell for $5/program. Programs retail between $20-60/program. Contact us for individual class use (bulk offer does not apply). We can create order pages for your students to purchase the program from us, and we will provide the students with access to the program access within 1 Business Day. Who uses DISC in the classroom? Our programs are popular in the classroom. They have been integrated with students at all levels. Ranging from intro Freshman levels to MBA and Doctorate courses. What are Professors saying about DISC in the classroom? Liz McLain Director of Graduate Studies in Business - Frank Barton School of Business - Wichita State University. "Many professors prepare courses that reward extroversion and penalize introversion. But, one of the keys to success in the classroom is taking the individual differences of your students into account when preparing your lessons. DISCflex has been the perfect tool for that endeavor. Having my undergraduate and graduate students take the assessment early in the semester allows each student to understand their personality baseline and the traits they need to dial up or down for given assignments. I’ve always thought I related to students well, but with DISCflex, I now feel that I understand my students on a deeper level." Jason Fertig, Ph.D. Associate Professor of Management - Romain College of Business - University of Southern Indiana.